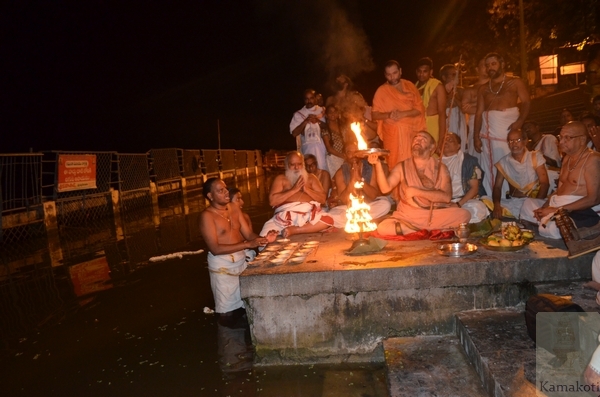 His Holiness Pujya Shri Shankara Vijayendra Saraswathi Shankaracharya Swamigal after performing Pournami Puja at Shrimatham Camp- Labbipet Venkateshwara Swamy temple, went to the Krishna Ghat, near Kanaka Durga Ammavaru temple. 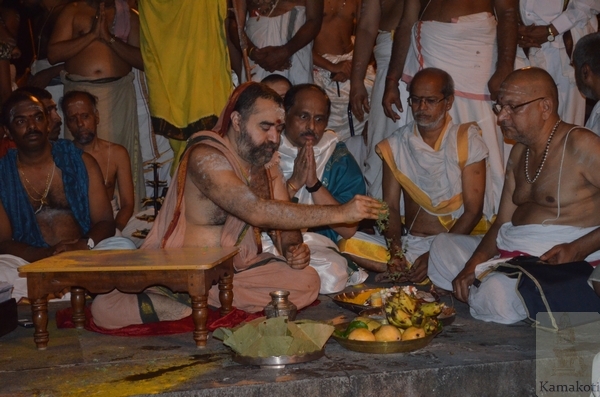 His Holiness was received by Endowment officials and Purohits. 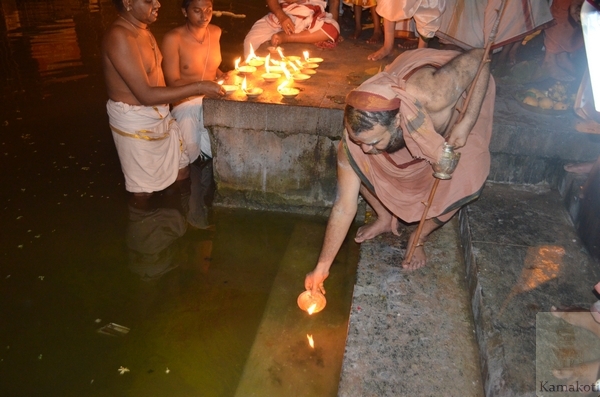 Lalitha Sahasranama parayana was performed. 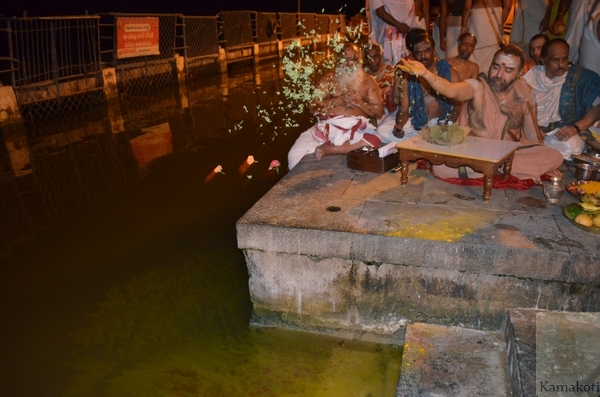 His Holiness then performed visehsa pujas. 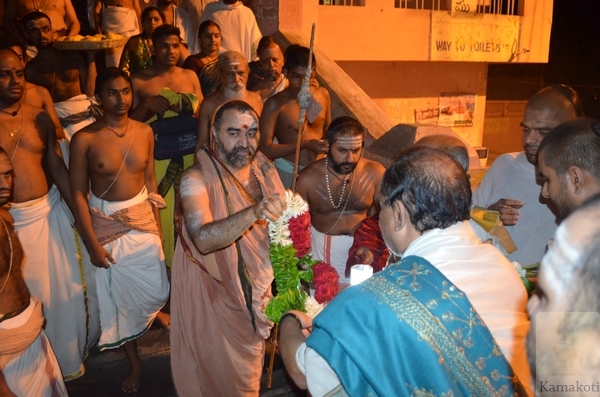 Prasadams were distributed to the devotees. 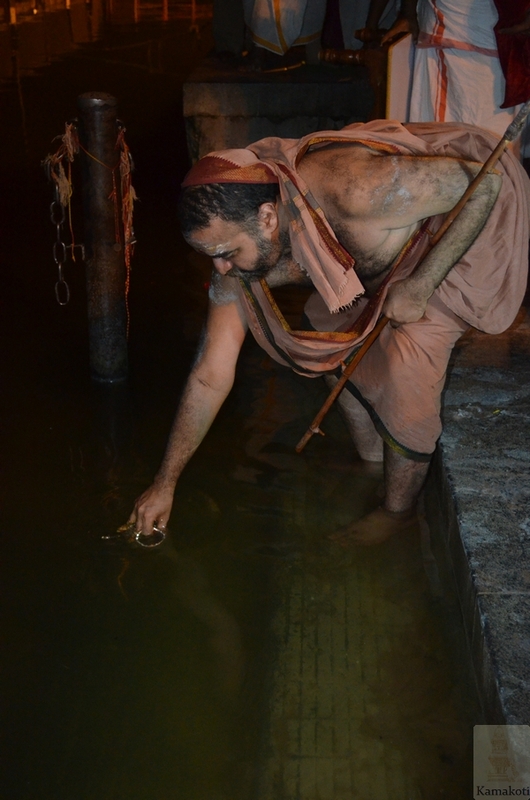 His Holiness then spoke about the importance of chanting Lalitha Sahasranama on Pournamis and said that Kanchi Paramacharya used to observe this practice. 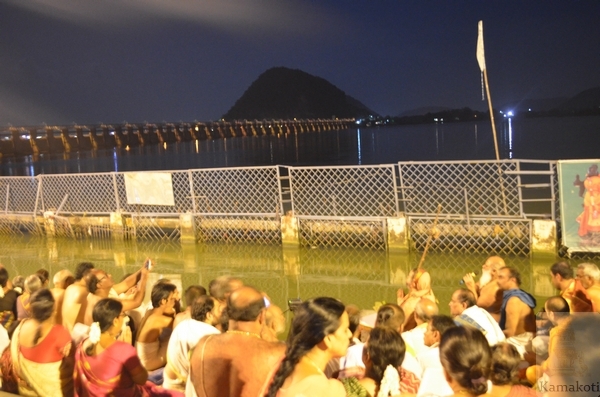 His Holiness said that the citizens of Vijayawada are very fortunate to have been blessed with the divine presence of Kanakadurga Ammavaru and a beautiful ghat on the banks of Krishna. 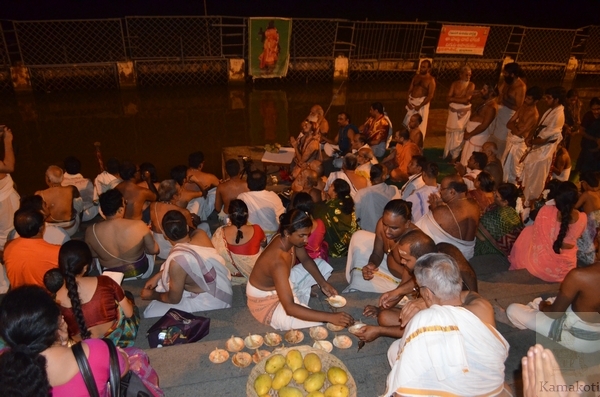 His Holiness suggested to the officials that on every Pournami, an event can be organized by the Devasthanam wherein Chandi Homa can be performed in the mornings and in the evenings may organize devotees to gather to chant Lalitha Sahasranama looking at the moon in the Krishna Ghat. 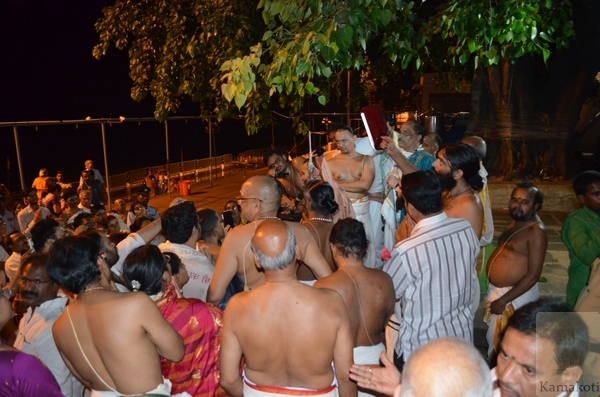 His Holiness said that prasadams can also be distributed.